Charles Kaffie brings more than three decades of proven business and investment experience to your structured settlement needs. A native of Corpus Christi, Texas, and a Spanish speaker, Charles developed his strong sense of dedication and work ethic by running cattle on his family’s ranches in the Wild Horse Desert of South Texas during most of his formative years. After graduating from Southern Methodist University with a business degree, Charles earned his master’s of business administration from the University of Texas at Austin and also studied at the London School of Economics and Political Science. Charles has been a co-owner in Kaffie Brothers managing family owned ranches, cattle and wildlife operations, oil and gas properties and other real estate ventures throughout South Texas. In 1993, he joined UBS/Paine Webber Inc. where he handled court-order trusts and portfolios for injured victims. In 1996, he formed Kaffie Investment Company and has acted as CEO and president, working with the premier plaintiffs’ firms in Texas and their structured settlements and financial planning needs for thousands of clients throughout South Texas and the Coastal Bend. Charles is a member of the Board of Investment Advisors to the Permanent School Fund of Texas, which directs the investments of a $35 billion portfolio. He also is a member of the Finance Committee and former board member of Christus Spohn Health Systems, which includes six hospitals and 5,000 associates. 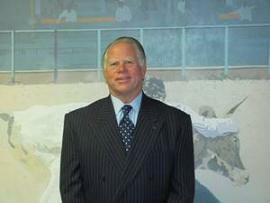 He serves on the Board of Governors of the Art Museum of South Texas, where he also has served as past chairman. Other board memberships have included the Coastal Bend Women’s Shelter, Coastal Bend AIDS Foundation and Metro Ministries. His long-standing commitment, energy and experience are invaluable to attorneys and their clients.